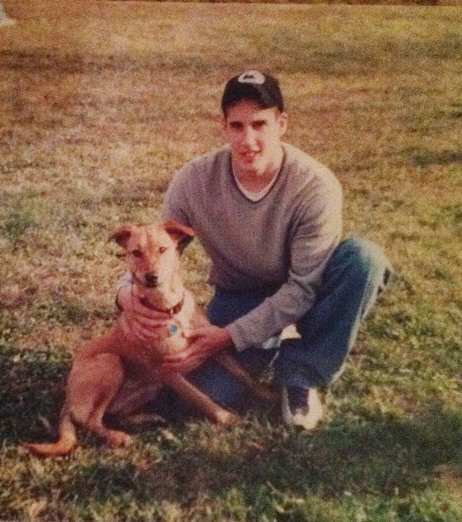 Brian Parrello, shown at his grandfather's house in 2002 with his dog Madison, was 19 years old when he died in Iraq. Hometown: West Milford, New Jersey, U.S.
Died: January 1, 2005 in Operation Iraqi Freedom. Unit: Marines, Small Craft Company, Headquarters Battalion, 2nd Marine Division, 2nd Marine Expeditionary Force, Camp Lejeune, NC. A 19-year-old Marine from Passaic County who was killed in Iraq is being remembered as a dedicated member of the military. Lance Cpl. Brian Parrello was killed Friday while serving with the 2nd Marine Division, Small Craft Company, in the city of Hadithah, but details were scarce, his family said. The family was notified of his death about 2 p.m. on Saturday, and Marine officers told them additional information should be available by Tuesday. “He was proud to be a Marine, and he loved the guys he was serving with,” Matthew Parrello told The Record of Bergen County for Monday’s newspapers. Parrello was unsure what his brother’s exact duties were, but he said Brian told his family about working on riverboats on the Euphrates and Tigris rivers. “He didn’t tell us a lot of what he was doing, but I know he moved to all the hot spots,” Matthew Parrello said. 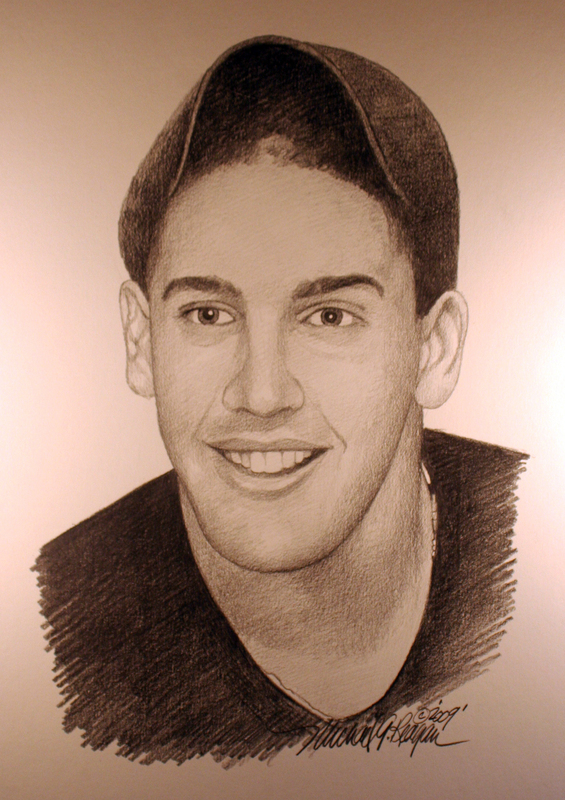 Brian was an athlete since childhood, playing Little League baseball and then football and hockey in high school. As a student at West Milford High School, Brian thought about joining the service for several years. The Sept. 11, 2001, terrorist attacks made up his mind. Michael McCormick, principal of West Milford High School, also said he recalls Brian speaking of a desire to join the military. “It was a goal of his, and he reached it,” McCormick said. 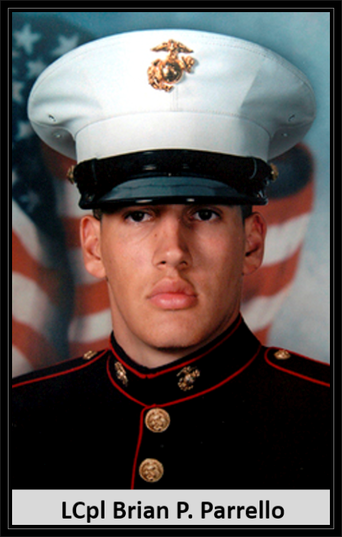 Brian enlisted in February 2003 and began active duty Sept. 22, 2003, three months after his high school graduation. He recently told his brother, Anthony, who is Matthew’s twin, that he wanted to become a history teacher when he left the service. The family plans to establish a scholarship in his name. 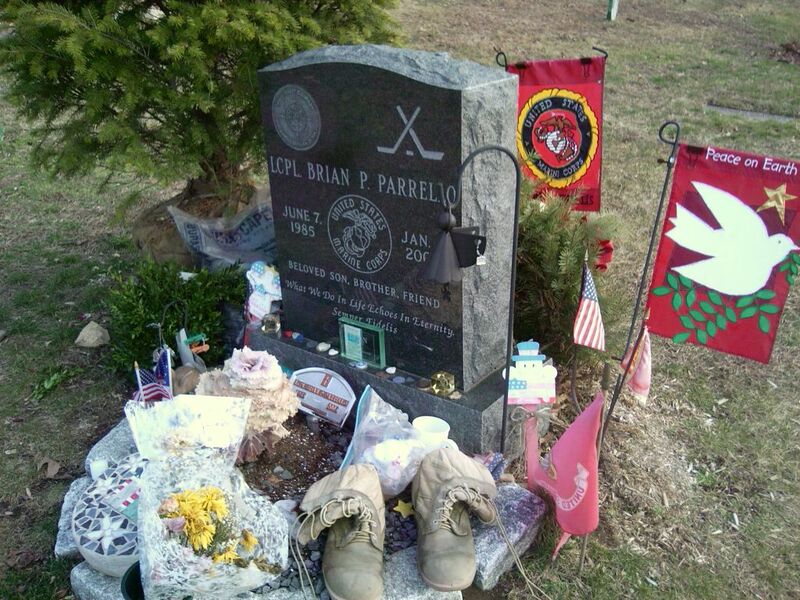 Lance Corporal Brian Patrick Parrello was a 17 year old, who after 9-11 joined the USMC. On January 1, 2005 at the age of 19 he was killed in Iraq. Above his bed on the ceiling was a poster of the Twin Towers. One can only imagine how much time he spent looking at those towers and felt the need to do something. He joined the USMC in his Senior year of High School and in late September was off to Camp Lejuene. He was a member of the Small Craft Company, which patrolled the Tigres and Euphrates Rivers on Swift Boats. They also provided security for the Haditha Dam. He was the coxswain of the boat and it was a perfect match. Brian loved fast cars, motorcycles and now boats. His platoon was involved in many of the major assaults in Iraq in 2004 and he received the Medal of Valor posthumously for one of those missions. Brian was a free spirit and lived life to the fullest. After the Corp, he planned on teaching history and traveling. He left behind his older twin brothers Matthew and Anthony and many younger cousins who idolized him. We often referred to him as the Pied Piper, because wherever Brian was all the kids would follow. In addition to his love of animals, he also loved music and poetry. He was passionate about sports, especially football and ice hockey which he played in high school. As a Freshman, he received his varsity letter in ice hockey for playing defense. He was fearless. Brian had drive, determination and dedication. All the qualities that make a great Marine. In his Senior year, he was named the person with the most school spirit. You could always hear him in the stands cheering his friends on and getting the crowd fired up. You would always see him wearing a baseball cap and he drank Rolling Rock Beer. His hopes and dreams were that of any young man. To fall in love, marry, raise a family and make all of us, especially his brothers proud of him. Along with Semper Fidalis (always faithful) on his headstone we had inscribed “What we do in life echoes in eternity”. I can not think of anything more fitting for those who like Brian, fought to keep the Bells of Freedom ringing and made the ultimate sacrifice. 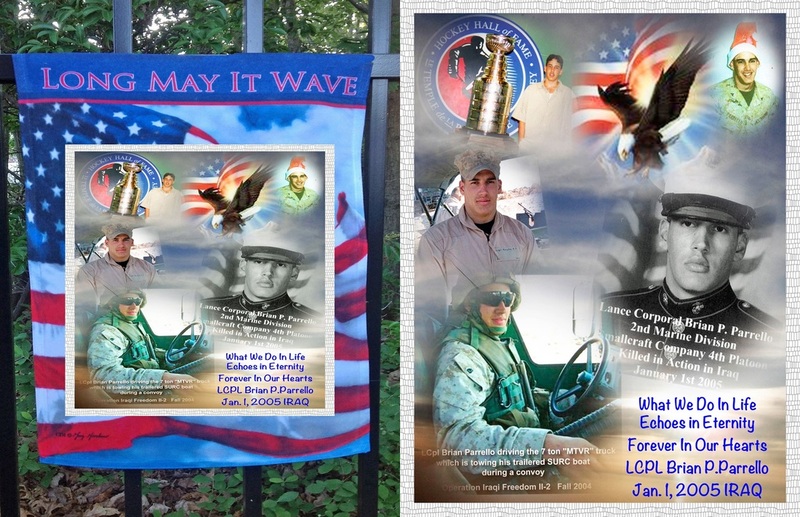 We honor his memory yearly with Hockey and Military Scholarships to West Milford High School Seniors. Along with multiple tree plantings and monument dedications, a new fire truck was dedicated in his honor by one of West Milford Fire Companys. The Post Office was renamed the Brian P. Parrello Post Office and his # 13 Hockey Jersey is on display in the Prudential Center in Newark, NJ. 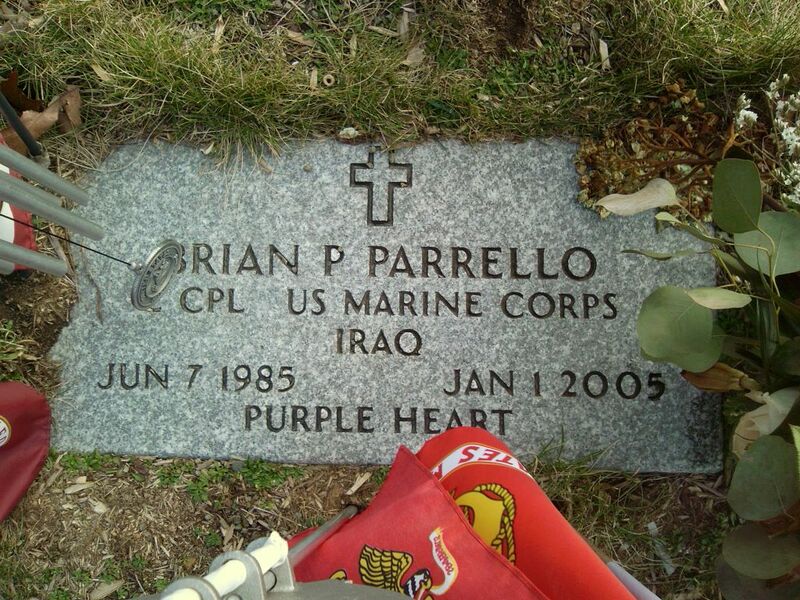 Brian was “always faithful” as a son, brother, grandson, nephew, cousin, friend and Marine. We will Cherish our memories so they last a lifetime and find comfort that he will live on in our hearts forever. Semper Fi, Mr B.